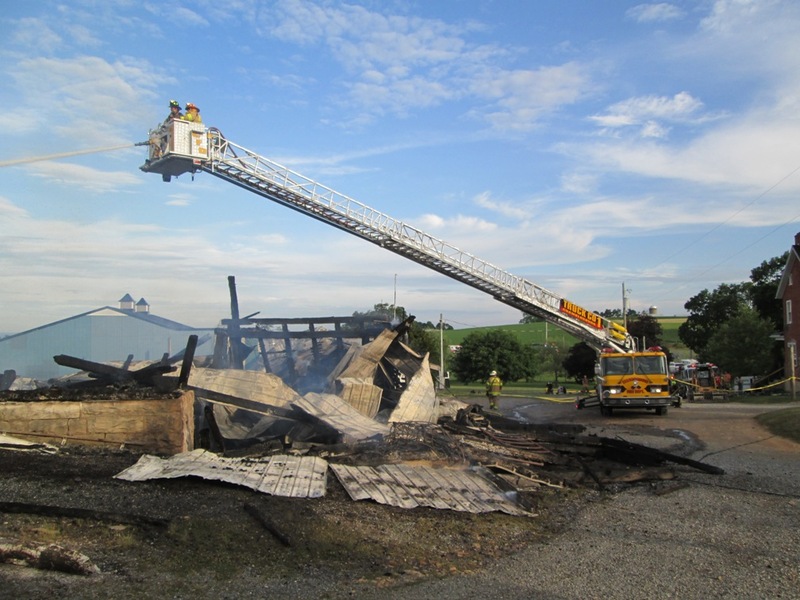 The second working fire in St. Thomas in the past two weeks sent Engine 1-2, Engine 1-4, and Truck 1 out the door around 5:30 p.m. 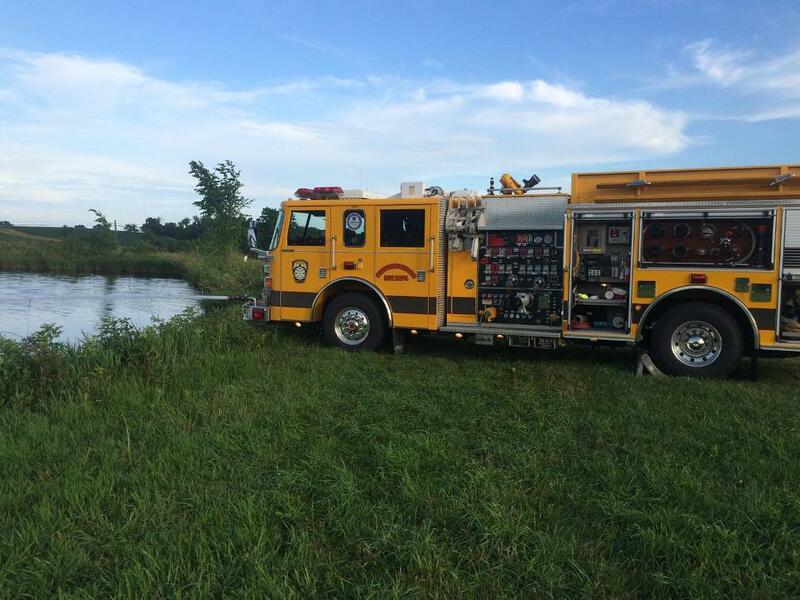 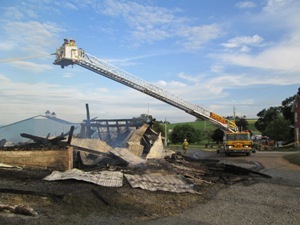 This time crews responded to 8875 Edenville Cheesetown Road for a reported barn fire. 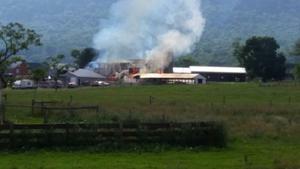 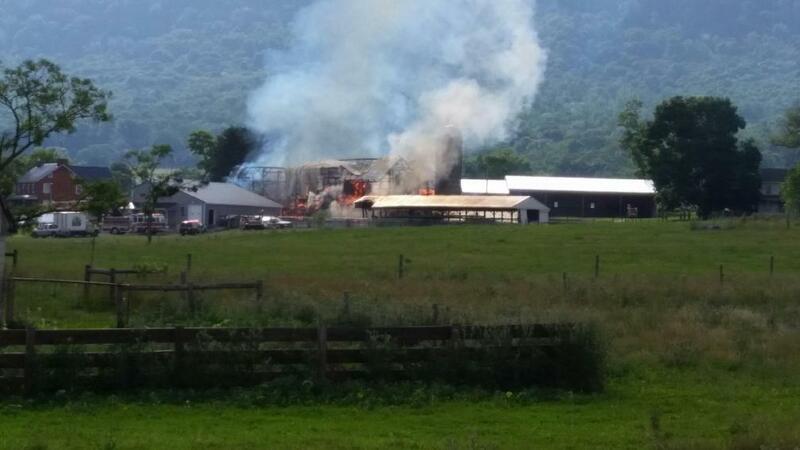 Within minutes, Deputy Chief 1 (Fire Attack) arrived to find a large hay barn on fire with multiple exposure issues. 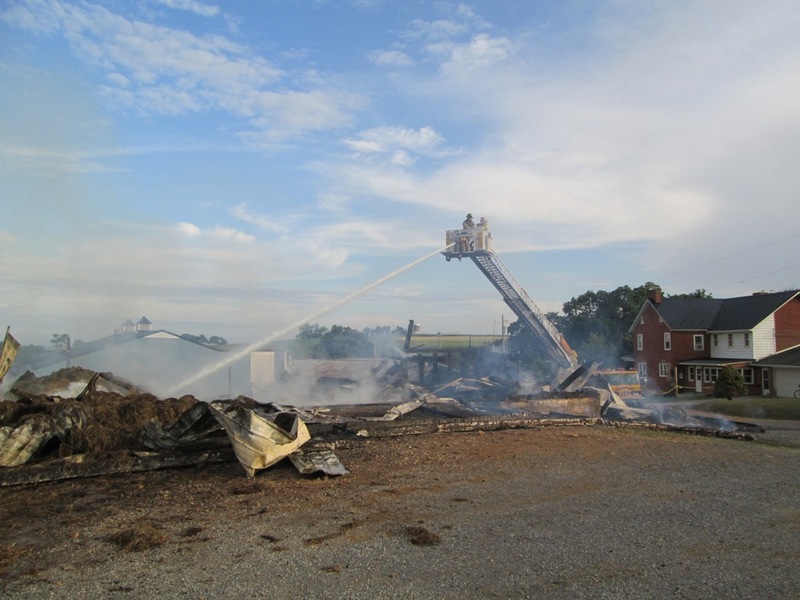 Truck 1 was assigned for fire attack, Engine 1-2 was used to draft, and Engine 1-4 was at the beginning of the fill site. 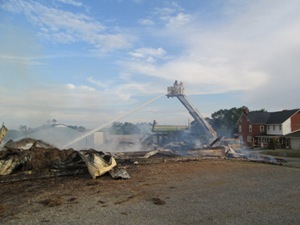 Chief 18 (Command) requested multiple alarms and the tanker task force before bringing the fire under control. 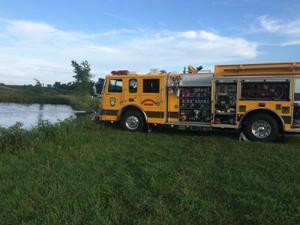 Crews remained on scene for over five hours.